During the holidays, I found myself in a very strange place, Portland, Oregon. As a music junkie, of course I was gonna check out the local music scene. There is no better way to get to know a place than to listen to its music and I had to make the most of my mere two nights in the city. The first night I wandered downtown into the Ash Street Saloon. 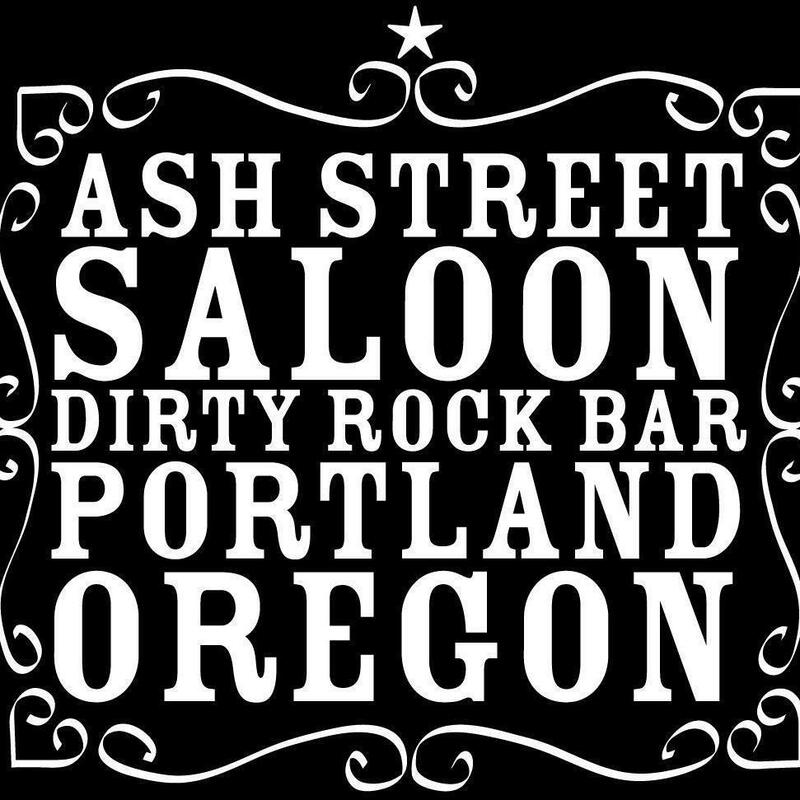 Ash Street Saloon is a landmark in Portland. 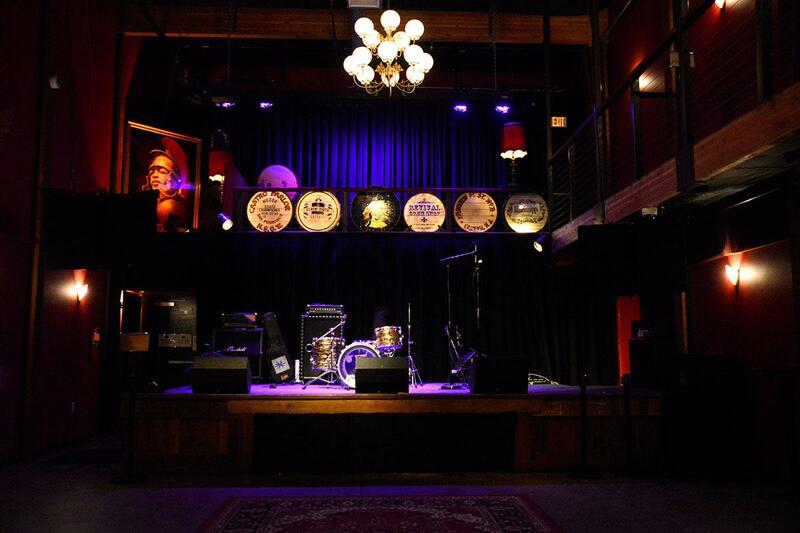 Located just around the corner from the famous Voodoo Doughnuts, the dirty rock bar features nightly live music. Locals go here to grab some pub food, a microbrew, and to listen to Portland’s common people become rockstars. 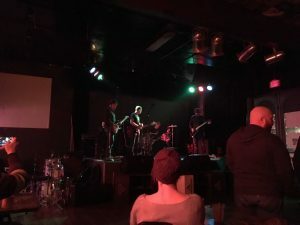 December 27th, 2017 was dubbed the Farewell to Indie Rock because unfortunately, Ash Street Saloon will close in 2018. I felt like an outsider as bands that had been playing here for years graced the stage one last time. 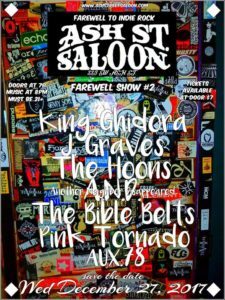 That night featured sets from King Ghidora, J. Graves, Another Neighbor Disappeared, The Hoons, The Bible Belts, Pink Tornado, and Aux.78. There was nothing too special about the venue, but the poorly lit room with overbearing music didn’t try to be anything it wasn’t. It simply was what it was. Night Two started with a red headed flannel wearing Lyft driver picking me up in a blue Prius, but when in Rome right? 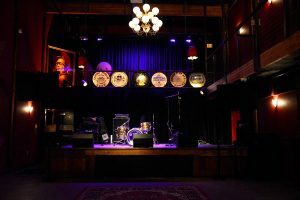 We ventured to what is acknowledged as one of the top music venues in Portland, Mississippi Studios. Inside the intimate room attached to Bar Bar, it’s all about the music. Built, owned, run, and for musicians, they provide a comfortable setting for local musicians to showcase a variety of new and innovative music. The room was absolutely beautiful. The floors are semi-carpeted with rugs. The red painted walls suspend wooden guitars surrounded by angel wings. Purple lights shine down on decorative drums that line the balcony. The first band was Volcanic Pinnacles. They are only a drummer and a sax player, yet produce sound that is so complex and intriguing besides using such little instrumentation. 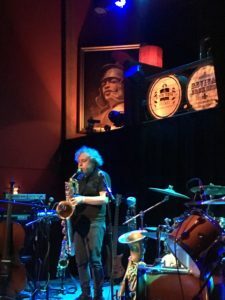 The perpetual pounding of the drums keep rhythm, while the smooth sax plays with effects pedals looping, distorting, and morphing the sound. Their music is some kind of post jazz psych rock and is fantastic. They stole the show at the beginning of the night. Long Hallways was the second instrumentalist band of the night. The 5 musicians formed a mini-orchestra with drums, trumpet, synthesizers, a bass, guitar, xylophone, flute, cello, and a euphonium. They play post indie rock and display a comfortable familiarity on stage. Therefore, between songs you can hear them talking with each other. 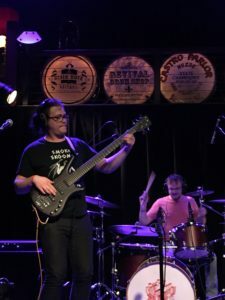 The bass player casually raised a finger to the crowd to indicate “last song”. The final band was Mercury Tree. A simple 3-piece band that played indie rock with a twist. They had modified a guitar and bass dividing the octave into seventeen notes, five more than the standard twelve used in Western music. The lead singer’s microphone was programmed with heavy effects. Tempo variation within songs and strange titles such as “Hedgehogs are the Emperors of Space” and “Jazz Hands of Doom” added to their uniqueness. 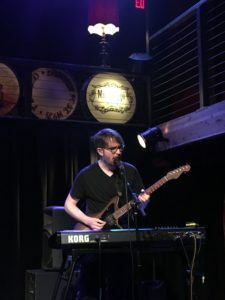 However, as the rollercoaster of a year that was 2017 came to an end, these nights exploring the Portland music scene were exactly what I needed. It helped me unwind after the stresses of the year and reminded me of a few things. Primarily, that the world is constantly changing. Local hideouts are getting shut down and replaced with big businesses. Music is evolving and growing as technology improves. Change can be frightening but can lead to positive transformation. May 2018 bring innovation, personal expression, and new music to help get us through.